The page has been created to help homebuyers obtain as much information about a property as possible. 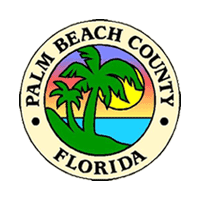 I always present my clients with the search results from the PAPA (Property Appraisers) website and the PBC Building Permit section of the County website before we discuss price on a property. I have regularly discovered open permits, that need to be closed before a sale can complete, or unpermitted work that can be unsafe, or costly to the buyer. Don’t make the mistake of buying the most expensive asset of your life without working with a professional who will work hard to minimize your risk.